When you create a website, textual and visual content are of course essential. But the way your website looks is at least as important! Your website fonts for instance must be chosen with care. A serif font that is thin, classic and elegant will not have the same impact as a large and massive font. SiteW wants to help you choose and customize your website fonts in the easiest way possible. How to customize my website fonts? 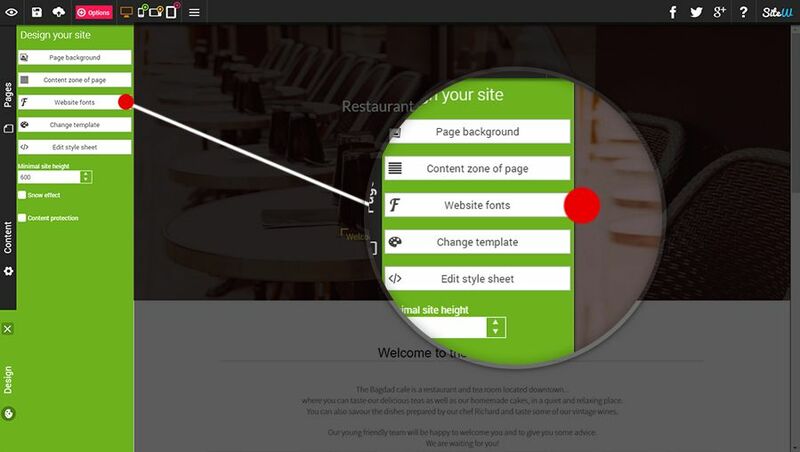 To select and modify your website fonts, start with clicking on the Design tab, then on the Website fonts button. This group corresponds to the Menu block links as well as to the pagination of the Blog block and to the pages and categories of the Store block. This group gathers all the titles: Text titles, Blog article titles, Store product titles, Forum topics etc. This group gathers all the links and Call-to-action buttons: Member space access, Comment or contact form submission, Forum post, Call-to-action buttons of the Store block etc. What are the website font customization possibilities? Click on the Font button: the window that opens allows you to view the fonts and to choose the one you want. All the modifications applied to the font will be shown in this window as well as in the demonstration field. Thus you know exactly what your fonts will look like. Use the little slider to set the letter spacing and to change the text density. Choose among the options available: Bold, Italic, Uppercase, Small-caps. The Reset all fonts button will allow you to come back to the template fonts. These new customization possibilities are only available for the new templates: Cristal and Elegance. You can easily change your template. 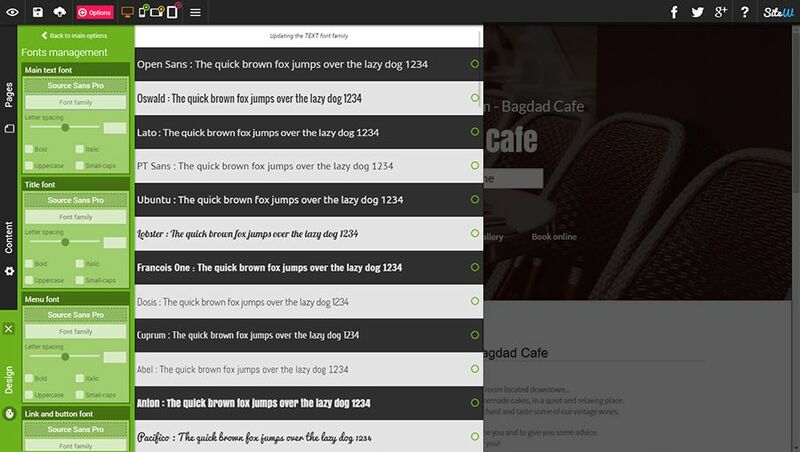 You now own some new tools to customize your website fonts in accordance to your webdesign. Don’t hesitate to read our guide How to find my website font? in order to obtain advice on how to choose and use your fonts.